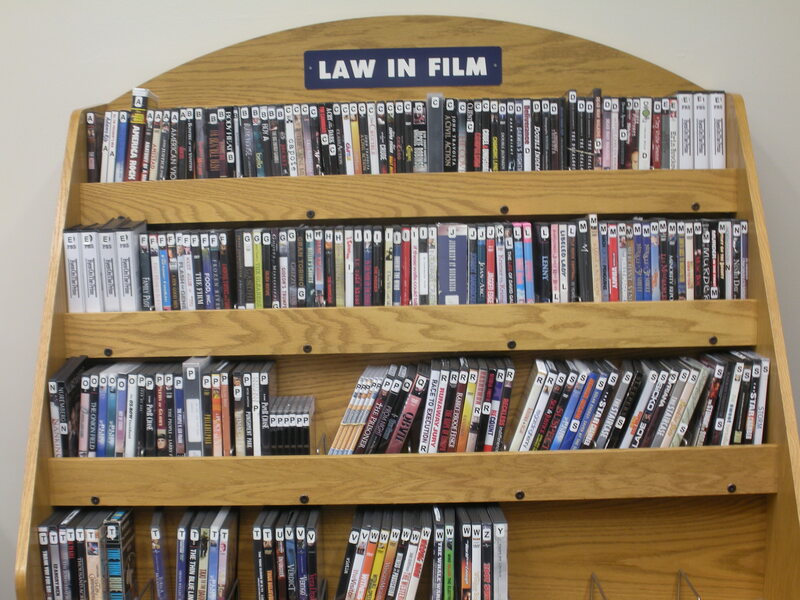 It is the time again when we share with you the new additions to our Law in Film Collection. 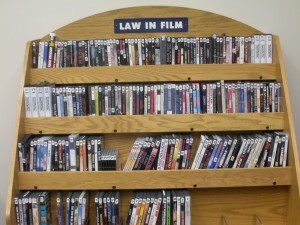 This collection of DVDs is located in the library’s Student Lounge and offers a variety of films and documentaries. All Pace patrons with borrowing privileges may check our movies out for up to five days at no charge. Come and check it out for yourself. The First Monday in October: A Mock Supreme Court Argument: Affirmative Action in College Admission: Is It Still Constitutional? – Fisher v. University of Texas at Austin (Office of the Appellate Defender) [KF4755.5 F567 2012 DVD] – Based on a case heard by the U.S. Supreme Court, Fisher v. University of Texas at Austin, in which the petitioner was denied admission to the University because of race. At issue before the Mock Supreme Court is whether the University’s race-conscious admissions policy violates the Equal Protection Clause. Advocacy and the Art of Storytelling (John D. Mooy, introduction by John Shepard) [KF8915.A2 M66 2005 DVD] – Educational documentary outlining the art of story telling in oral advocacy. Making the Oral Argument: The View from the Inside Out (Maureen E. Mahoney, E. Barrett Prettyman, Jr., John G. Roberts, Jr., Hon. Gregory Kellam Scott, Hon. Kenneth W. Starr, Sanfor (Sandy) Svetcov, Hon. Deanell Reece Tacha) [KF8870 .M35 1996 DVD] – A presentation of the American Bar Association Center for Continuing Legal Education and the Section of Litigation in cooperation with the Judicial Division Appellate Judges Conference. Hannah Arendt (Heimat Film; directed by Margarethe von Trotta; screenplay by Pam Katz, Margarethe von Trotta; produced by Bettina Brokemper, Johannes Rexin) [PN1997.2 .H36 2013 DVD] – A biopic of Hannah Arendt, the influential German-Jewish philosopher and political theorist. Arendt’s reporting on the 1961 trial of ex-Nazi Adolf Eichmann in The New Yorker, controversial both for her portrayal of Eichmann and the Jewish councils, introduced her now-famous concept of the “Banality of Evil.” Using footage from the actual Eichmann trial and weaving a narrative that spans three countries, the director von Trotta beautifully turns the often invisible passion for thought into immersive, dramatic cinema. The Act of Killing (a film by Joshua Oppenheimer; produced by Final Cut for Real ApS; directed by Joshua Oppenheimer; produced by Signe Byrge Sørensen; executive producers, Errol Morris, Werner Herzog, André Singer, Joram ten Brink, Torstein Grude, Bjarte Mørner Tveit) [HV6322.3.I5 A283 2014 DVD] – An examination of the murder of political dissidents in Indonesia by government sponsored death squads in the years following the military coup in 1965, in which the filmmakers were successful in persuading those responsible to reenact the killings for the camera in the fashion of American movies. Sonatas of the Soil (Lily Films presents; directed, produced and written by Deborah Koons Garcia) [S596 .S663 2012 DVD] – 2 volume short film featuring number of experts in the area of organic farming, soil management and ecology, and agriculture. Dirt! (Common Ground Media, Inc. presents a film by Bill Benenson and Gene Rosow; produced by Bill Benenson, Gene Rosow, Eleonore Dailly; directed by Bill Benenson and Gene Rosow; co-director, Eleonore Dailly) [S591 .D57 2009 DVD] – Featuring live action and animation, this movie examines the history and current state of the living organic matter that we come from and will later return to. Blackfish (Magnolia Pictures; CNN Films; Our Turn Productions presents a film by Gabriela Cowperthwaite; produced by Manny O Productions; directed by Gabriela Cowperthwaite; produced by Manuel V. Oteyza; written by Gabriela Cowperthwaite, Eli Despres) [SF408.6.K54 B53 2013 DVD] – A discussion on the keeping of intelligent creatures in captivity. Employs the story of Tilikum, the notorious performing whale who, unlike orcas in the wild, has taken the lives of several people while in captivity. The Human Scale: Bringing Cities to Life (a film by Andreas M. Dalsgaard) [HT166 .H86 2012 DVD] – 50% of the world’s population lives in urban areas. By 2050 this will increase to 80%. Life in a mega city is both enchanting and problematic. Today we face peak oil, climate change, loneliness and severe health issues due to our way of life. But why? The Danish architect and professor Jan Gehl has studied human behavior in cities through 40 years. He has documented how modern cities repel human interaction, and argues that we can build cities in a way, which takes human needs for inclusion and intimacy into account. This documentary film meets thinkers, architects and urban planners across the globe. It questions our assumptions about modernity, exploring what happens when we put people into the center of our planning. The Hungry Tide (Screen Australia, SBS Australia in association with Screen NSW present; a Tom Zubrycki film; director and producer, Tom Zubrycki) [DU615 .H86 2011 DVD] – Examines the effect of climate change and the resulting rise in sea level and increasing salinity on the Pacific island nation of Kiribati. Exposes the global inequalities driving global warming through the life and work of Maria Tiimon, who advocates for the rights of Pacific Islanders, and explores the deteriorating conditions that threaten the people and culture of Kiribati as they plan for a time when they no longer have a nation. Next Congratulations to the 2014 Pace Energy Team!